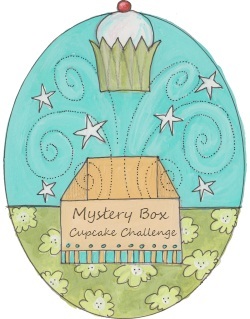 Between July 2010 and June 2011 I hosted a monthly cupcake competition called the Mystery Box Cupcake Challenge. It was inspired by Iron Cupcake: Earth, which is also no longer in operation. I was a frequent entrant into Iron Cupcake: Earth and was saddened when I learned that it had ended. 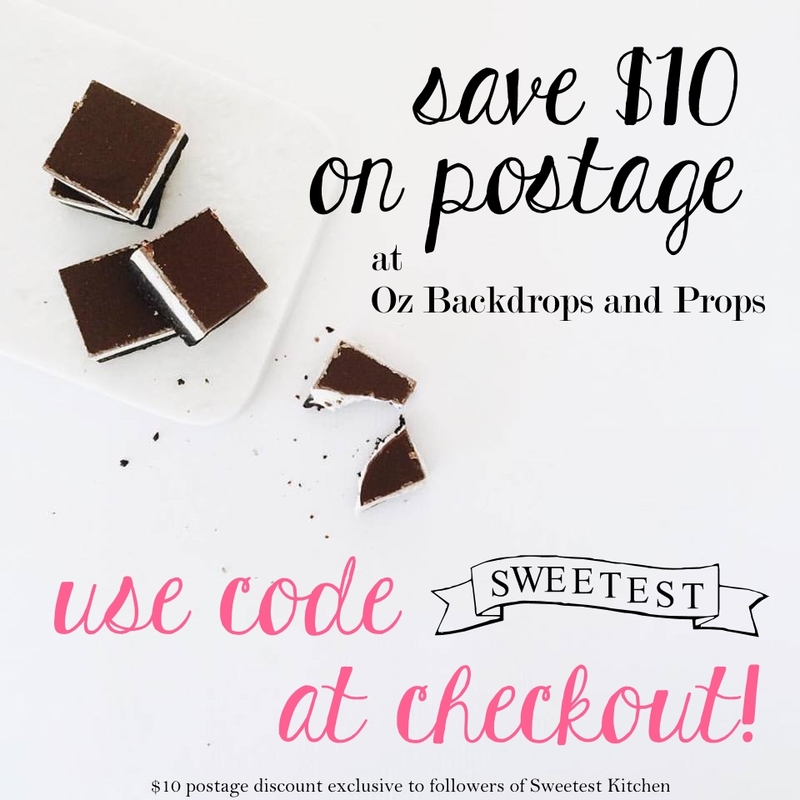 It was a great way to bake creatively and I looked forward to the new ingredient announcement each month. After it ended, I wanted to start a similar competition to keep giving bakers inspiration in the kitchen, and thus the Mystery Box Cupcake Challenge was born. Lisa Orgler, of The Lunch Box Project, created a logo for me and also contributed her talent each month with an illustration of that month’s ingredient (except for two of them). Over the months, there were so many talented entries. I was very impressed with the creativity of the bakers. When it came time to choose a winner, I left it up to visitors of my blog by posting a poll that listed each cupcake entered. Visitors would choose their favorite cupcakes and the five cupcakes that received the highest number of votes would go into a draw, where one of those five would then be announced the winner. I decided to do it this way so that the person with the most friends wouldn’t always be the winner, if you know what I mean! The winner would then receive prizes from that month’s sponsors, which were either actual prizes shipped to their door or gift certificates to use in an online shop. The first few months of the challenges were very successful, but after a while, the entries started to dwindle. I wasn’t sure why, but I kept the competition up until it just became too much of a hassle for me to keep up with. My kids had entered school – one in kindergarten and one in preschool – and while it seems like I should have had more time with the kids gone, it was just the opposite as there was always something to do and I couldn’t spend a length of time on the computer unless it was the middle of the night when everyone else was asleep! So I closed the Mystery Box Cupcake Challenge and decided to put my focus towards producing more enticing recipes and better photographs for my blog. Below is a brief summary of the challenges from each month and the winner. Entrants had to bake a cupcake using a tea of their choice. 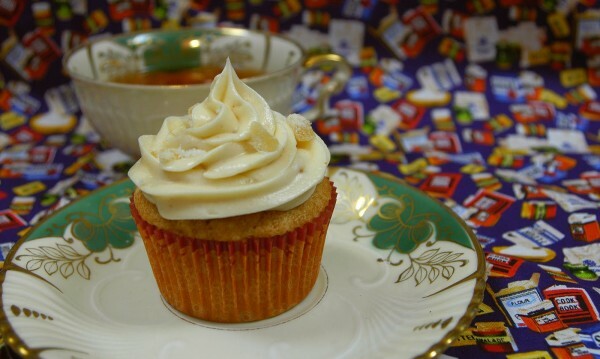 Cupcakes entered this month teas of all kinds, but the winner was Lina of Sourkraut Crafts with her Sweet Coconut Tea Cupcakes With Caramel Filling and Ginger Cream Cheese Frosting. Feeling that white chocolate was very under-rated, I decided to bring this often overlooked chocolate into the spotlight. Entrants were encouraged to use a white chocolate that had at least 30% cocoa butter. The winner this month was Tara with her White Chocolate Passion Cupcakes. This month, entrants had to recreate their favorite childhood memory in cupcake form. This was the first month that did not have a specific ingredient, but instead a theme. The winner was Heather, of Heather Vision, with her Kiwi-Lime-Grapefruit Cupcakes. October’s theme color must be orange as the leaves turn to orangey shades, pumpkins adorn doorsteps, candy corn becomes available in stores and of course there’s Halloween. I decided to leave this month open to creativity by just naming the color “orange” as the theme. 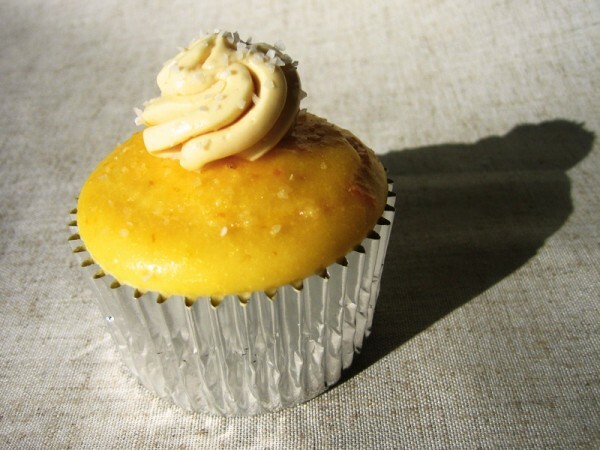 Cupcakes could either be orange or use a main ingredient that is the color orange. 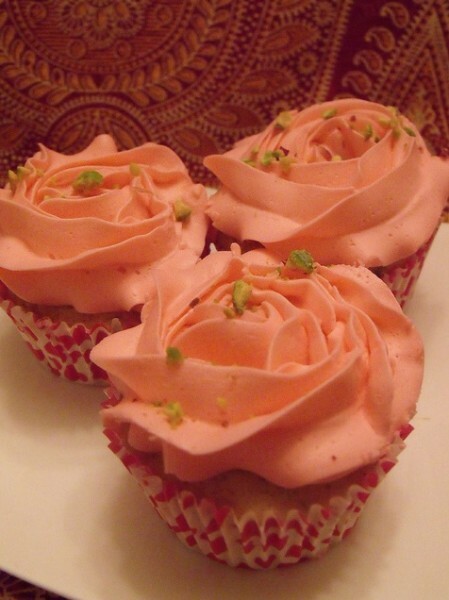 The winner was Olga, of Sunshine & Happiness, with her Indian Summer (Margarita) Cupcakes. When I think about November and food, I think of comfy, cozy, warming ingredients, like ginger. I wanted to see if bakers could create a cupcake with ginger, although preferably not obvious ginger-based ones such as gingerbread. 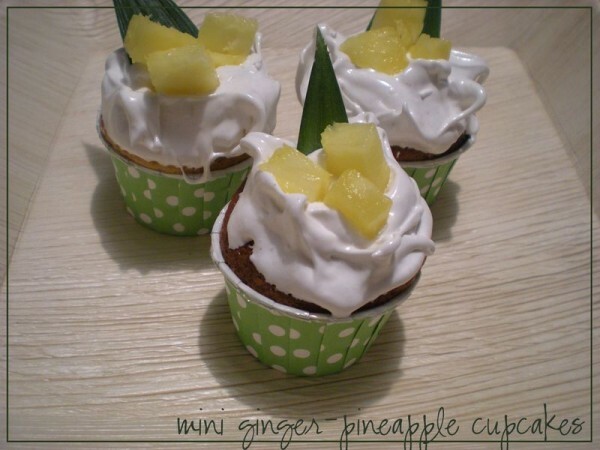 The winner this month was Eliane, of My Creative Playground, with her Mini Ginger-Pineapple Cupcakes. With Christmas in mind, for the month of December I wanted participants to bake a cupcake especially for that special someone in their lives. They had to use flavors that their special someone would love, or with flavors that would define their personality. 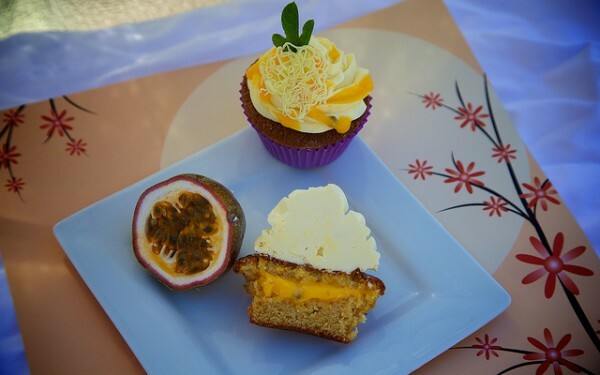 The winner this month was Courtney, of C&C Cakery, with her Kulfi Cupcakes. For the New Year, I decided to pick a really crazy ingredient – popcorn! I almost changed my mind at the last minute because I thought that it might be too difficult, but I’m glad I stuck with it because I was really pleased with the entries. The winner was Angela, of Angela’s Images & More, with her Hot Popped Cocoa-Cake. For the month of February, I wanted to challenge bakers to take a basic chocolate cake recipe and take it to the next level by adding an ingredient that normally isn’t paired with chocolate. The entries were fabulous and creative! 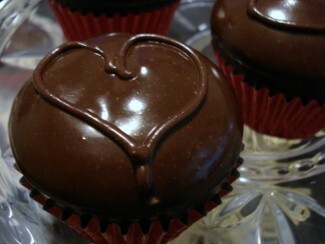 The winner this month was Marissa, of A Spoonful of Sugar, with her Balsamic Vinegar and Strawberry Chocolate Cupcakes. March is a special month for me because, not only is it my birthday month, but I know so many people who also have a birthday in March. Therefore, I chose the theme of Birthdays this month. For the first time in the history of the Mystery Box Cupcake Challenge, entrants would be judged by appearances alone, meaning that they had to make a very spectacular-looking cupcake! The winner was Anna, of VerySmallAnna, with her Spring Lawn Cupcakes. 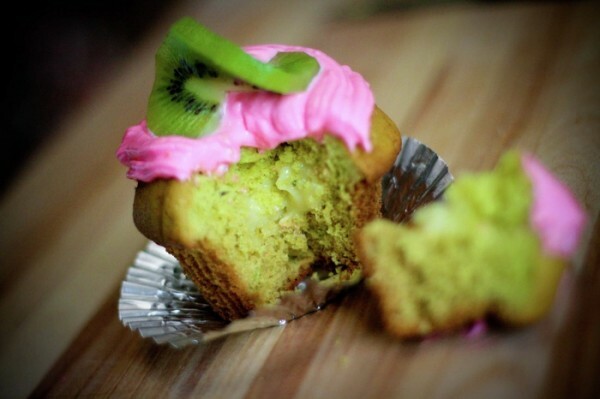 April 22 is Earth Day and to celebrate this special occasion, participants were encouraged to use fresh and/or organic ingredients, or decorate their cupcake to look like Earth. 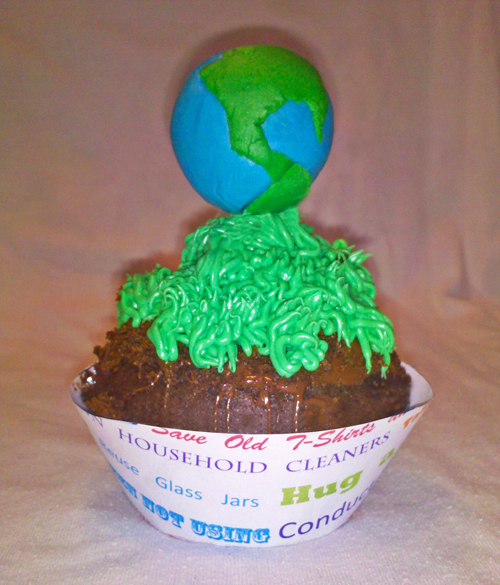 Rules were not too specific as long as the cupcake could be related to caring for the Earth in some way. The winner was The Lil Cake Shoppe with The Lil Earth Cake. Thinking of my friends back in the US who had been, at the end of April 2011, experiencing a bout of violent storms, I wanted to try to shed some hope. The old saying goes, “April showers bring May flowers”, so May’s theme was all about flowers. 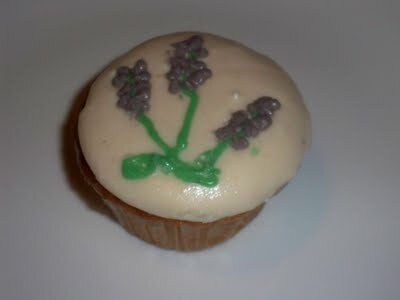 Bakers could use real or dried flowers in their cupcakes, or use flower decorations if they were unable to find edible flowers. The winner was Carina, of Teenbaker, with her Blushing Banana Cupcakes. 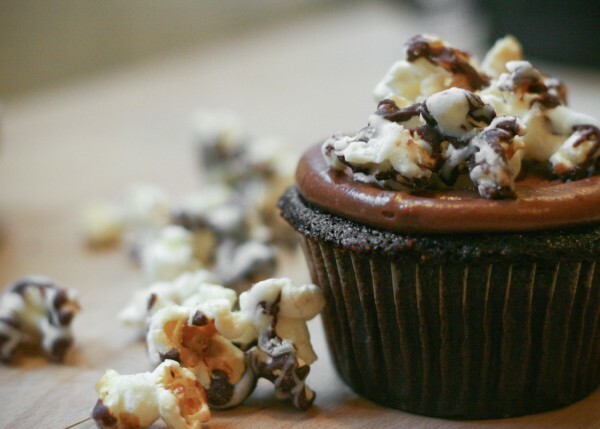 This was the last month of the Mystery Box Cupcake Challenge and I thought it could go out on a bang, or fizz, rather, by making this month’s theme all about fizzy stuff. 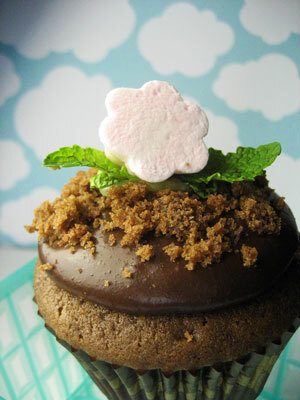 As long as the cupcake had an ingredient that was fizzy, it would qualify. I was particularly looking for cupcakes that incorporated fizzy candy, but most entrants went with sodas or beer. 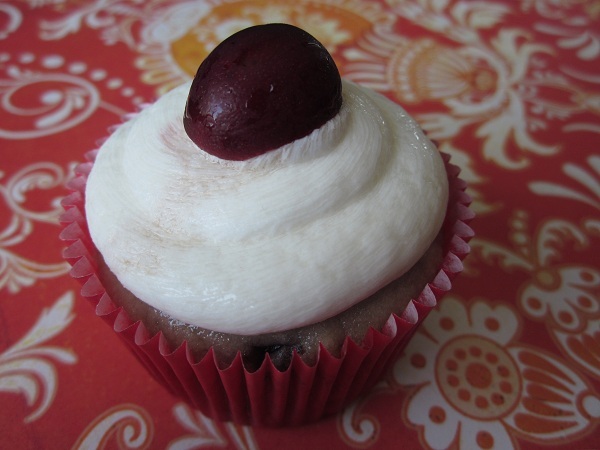 The winner of the final challenge was Jessie, of My Baking Empire, with her Cherries and Cream Cupcakes. Thank you to all who donated prizes as your generosity was very kind and much appreciated!